Leasing metalworking equipment is an affordable way to meet your business needs. Our simplified leasing philosophy means you can define the terms of your lease to suit your needs, and the simple Application Only process and speedy approval make securing financing a breeze. 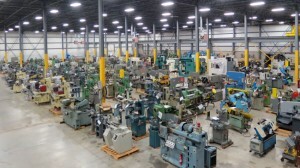 United States Equity Funding will help you acquire the machine tool and metalworking equipment you need, and we’ll work with you to find the best lease for your company.